Group dynamics and herd mentality at work. Hehe, a herd of sheep. It sounds to me like Felicia and the cat are clones of the squirrel. 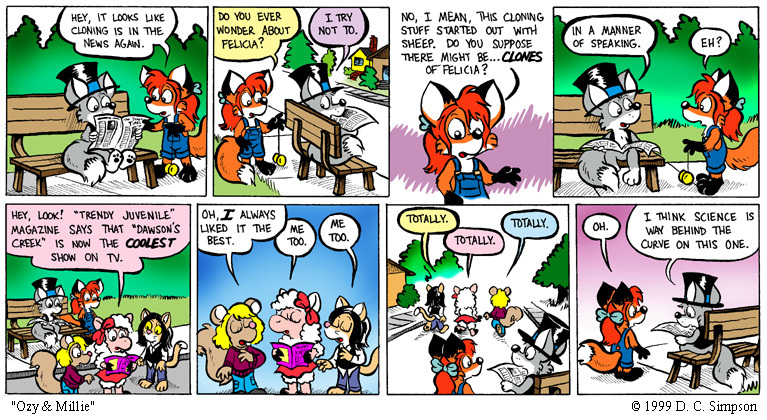 A cat, a sheep and a squirrel are friends…actually that is one of the things I like about furry comics.